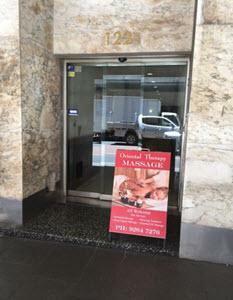 This Sydney CBD Massage Clinic is located mid-city almost underneath the Sydney Tower on Castlereagh Street. With shower facilities, spacious upmarket reception and very tidy rooms, this is a cut above the average. Professionally managed and popular with regulars, they are now keen to welcome new customers seeking a reliable relaxation or therapeutic massage. Finish your treatment with a foot massage then walk out feeling fab! Directions A 5 minute walk up Castlereagh Street from Martin Place, or 2 mins around the corner from St James Station. Look for the sign and go up 1 flight of stairs. Public Holidays Open all public holidays except Christmas Day & New Year's Day. Parking Plenty of parking stations around, but ridiculously expensive. Take the bus or train! Public Transport Southbound bus stop just a few doors down towards Market Street. Only 2 minute walk to St James Station on Elizabeth Street. 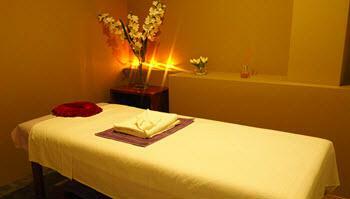 Speciality Full Body massage by skilled Chinese, Thai, Hong Kong and Taiwanese masseuses. Premises Spacious reception area and 6 comfortable rooms including a couples room. Toilet and shower available. 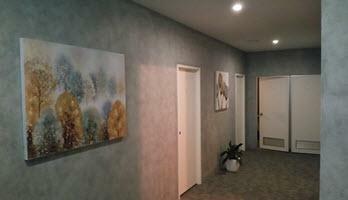 Looking for best in therapeutic and relaxation massage in Sydney CBD, Mid-City, St James, Hyde Park? Call (02) 9264 7276 Now!